The Shoal Creek Trail Plan is now available! 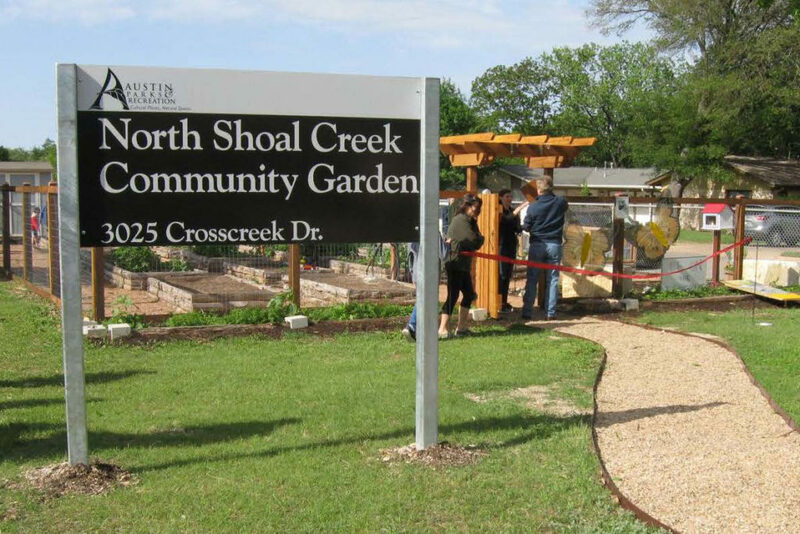 Thanks to Community Garden volunteers Sarah Brandon and Jennifer Noinaj, our North Shoal Creek Community Garden has been selected to be one of the tours in this year’s Austin Design Week. The event takes place on Thursday, November 8, from 2 to 4 p.m. at the garden which is located at 3025 Crosscreek (northwest corner of the Pillow campus).